Did you know that by just adding salt, you may be able to achieve the flavor and taste that you’re looking for? However, knowing the taste and kind of salt to choose can be difficult for most, as there are many kinds of salt to choose from. There are different types like rock salt, sea salt, lake salt, and so much more. 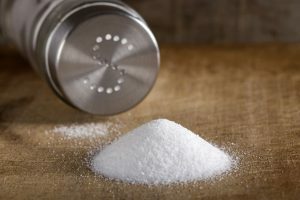 In this article, we’ll be talking about some pointers on how to choose salt, and we’ll also introduce a few recommended items. Even the taste of salt can vary, there’s umami, bitter, and sour. Choose the kind of salt according to its purpose and presentation. For example, you want to change how your food tastes or add color to your presentation. Seasoning salt is a type of salt combined with herbs and spices. 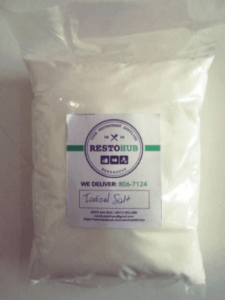 Among the many salt variety that brings out the best taste in our ingredients, it is the seasoning salt that best stimulates appetite while enhancing the flavor of the ingredients. It makes the dishes more flavorful. 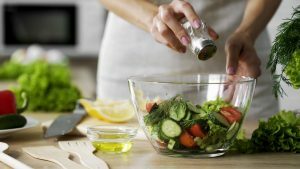 So, if you want to use seasoning salt, choose according to what purpose and ingredients that are used. For simple but great tasting dishes, it is best to use salt that contains other minerals, such as magnesium and potassium. Minerals other than sodium, especially salt with lots of magnesium, are usually more flavorful. It also helps with ripening and fermentation of food and can enhance the taste of certain dishes. 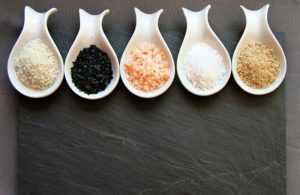 For a different kind of salt intensity, choose a variant that contains minerals other than sodium. If you are cooking for friends who are coming over, using salt with eye-catching colors might be a great ice breaker. Truffle salt has been a popular choice for cooks and chefs in recent years. Bamboo charcoal salt, which is black in color, is also a great way to accent to any dish. Smoked salt is great for fine dining as well. You can bring the taste of your dishes up a notch using colorful salt. Your table and dish presentation will be aesthetically pleasing as well. Pyramid type and flake type salt can also be turned into plating accents for your dishes. Choose your salt according to the main ingredient in the dishes. Salt has many variations in their grain size and saltiness. Because of the difference in taste, the matching ingredients will change as well. 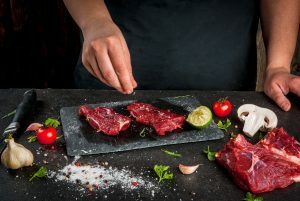 For lean meats and fish which have a very strong taste, it is recommended to use strong salt with large grains like pink rock salt or natural salt. The feature of this type of salt allows you to cook without losing the taste of the ingredients. 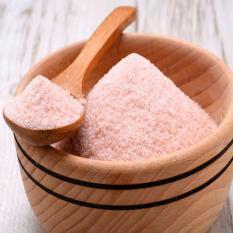 When you choose pink rock salt, you have to choose the one that does not have contaminants such as black grains. Also, the deep pink color has lots of iron, so it is more compatible with lean meat. 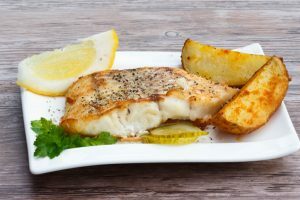 For meat and white fish that have a light and simple flavor, largely grained salt of weak saltiness is the best match. Such salt melts as you take a bite of your food and the taste slowly comes out. In turn, it makes the ingredients’ taste come out until the very last bite. For dishes containing oil, it is recommended to use small grain salt that isn’t super salty. It is also good for everyday use because the small grain salt fits well with any ingredient. Vegetables and rice already have a mild taste, so it’s best to use small grain salt which has a weak salty taste. It has a gentle sweetness that complements the delicate taste of its ingredients. It is recommended for an all-purpose salt that is compatible with any kind of food that will be easy to use every day. If you don’t have this type of salt in your kitchen, your cooking won’t start. Here is our list of recommended salt to buy for your kind of dish and your kind of taste. Mined from Pakistan, Himalayan Pink Salt has been used in turning dishes into great tasting food owing to its rich concentration of minerals. It is also good for your health to take lots of minerals on a daily basis. It’s more common nowadays and is easy to find when shopping for pink salts. It is the best match with a grilled meat or fish since it has a large grain and strong saltiness. Its pink color makes your dishes aesthetically pleasing as well! Although it’s more expensive compared to other salts, it’s perfect for those who want great taste. 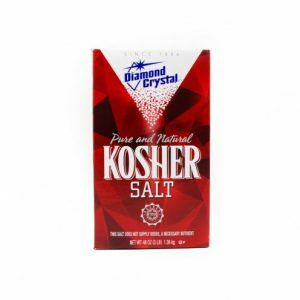 Kosher salt is very versatile. It has irregular-shaped flakes and it can be a substitute for the salt you use for cooking. 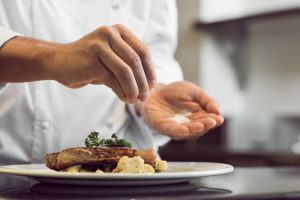 Although its chemical composition is the same as the table salt we use every day, most chefs prefer it over other types of salt because of its texture and its ability to crumble easily for that controlled seasoning. 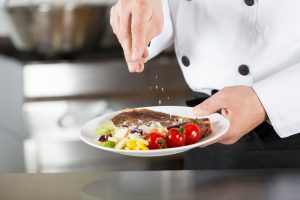 If you cook every meal, just changing your cooking salt to this salt will help proper seasoning and make you feel more like being a professional cook. One disadvantage of using this type of salt is that it is not ideal for daily cooking because it is pricier and more flavorful than most. The Heavenly Chipotle seasoning salt is ideal for those who want to add a spicy flavor to their dishes. The salt gives a kick that cannot be found in the other salt products in this list. Each grain has been processed to include a spicy and flavorful taste, which will infuse with any dish that is being cooked. It can also be used as a topper for other dishes. This variant is great when adding more flavor to your food or snacks. You can use it to try and add different types of taste and flavor to your food. It is best to use this salt sparingly so that the flavor of the meat or dish will still be retained. While it is more expensive than other salts, the unique flavor is worth trying on new dishes. This is a coarser and rougher type of Seasalt. Generally, sea salt is not very salty compared to rock salt. Because of its large-sized grain and mild flavor, this salt is perfect for meat and white fish that have a light and simple flavor. However, it must be used sparingly because the salty taste is absorbed more than its other counterparts. Many people say that it is better-tasting than other types of salt. It comes in a pack of 1 kg, so it can be recommended for middle or large-sized families. 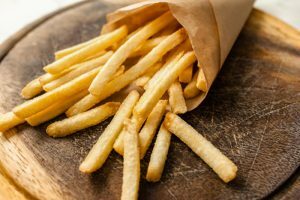 It’s affordable and offers more in one pack, but it’s not as healthy or flavorful as other salt options out there. 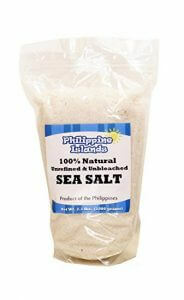 Considered as the very best kind of sea salt, it is one of the most sought-after salt in the Philippines. 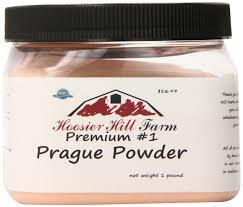 It is very rich in flavor due to its mineral contents which makes worth the effort of finding this particular brand. It has many uses apart from cooking. It can be added in drinks like the Margarita or as a finishing for grilled meat dishes. The best thing about this variant is that it has a rich flavor and excellent texture. The only downside is that it is difficult to find high-quality salt like this in supermarkets or general stores. The price is also higher than what you pay for the average salt, but it’s worth it to taste the sea in your dishes. Curing salt is not used on the dinner table, rather it is mostly utilized for cooking meat and fish. Curing salt is used to marinate meat to make it more tender and flavorful, while it is used on fish to cure it to increase its flavor. It can also be used in a vegetable saute. 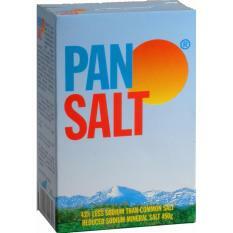 It is a very useful type of salt, especially when you like very flavorful meats and other dishes. However, the price can be expensive especially if you plan on using it every day. Even so, you can still use it on special occasions. If you like cooking meat, this is ideal for dry rubs or letting the meat sit for a few minutes before cooking. Iodized salt or table salt contains just about the same amount of sodium with that of the sea salt. It is considered healthier than sea salt because of its concentration of minerals is greater. Because of this, you get more than sodium in one pack of salt. Iodine is an important part of our diet and this type of salt completes that daily requirement. What makes it a good option is that it is comparably cheaper than most salts. It has iodine, which is good for the thyroid as well. Most chefs and cooks prefer rock salt because of its natural taste, but iodized salt is well-suited for home use on almost any dish. Black rock salt is one of the more aesthetically pleasing salts that are available in the Philippines. 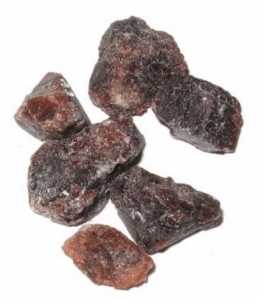 It is also known as Indian black salt, kala namak, or sanchal. It is a type of volcanic rock salt that has a distinct sulfurous taste. The unique taste is what sets it apart from other salts. With this, you can experiment with different flavors while cooking. The only disadvantage is that it is difficult to procure and can be expensive in some stores. The taste is comparable to hard-boiled egg yolk and it is mostly used for Ayuverdic and Indian dishes. Examples include curry and tandoori. However, many vegan recipes utilize the black rock salt because of its health benefits and distinctive taste. Potassium is the key ingredient to this type of salt. Compared to other types which have high concentrations of sodium, this type has significantly less amount which is great for those suffering from high blood pressure. It is best for people who need to cook dishes that are ideal for people suffering from hypertension. Instead of having fewer concentrations of sodium, it contains more Potassium, Magnesium, and Lysine than usual salts. Replacing your daily salt with this salt will give many benefits for your health. 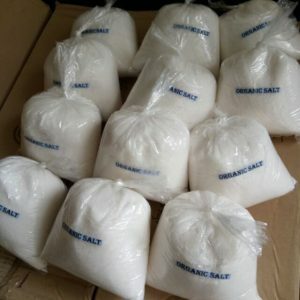 Out of all the salt we discussed here, this may not be the most expensive, but it is the most useful for the Philippine market. Filipino food almost always has garlic in it. Many chefs prefer using garlic salt when curing and marinating their food as well. It is best for dishes that need to be cooked quickly without having to add garlic cloves into the mix. 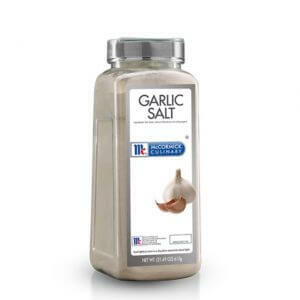 There are other variants of garlic salt from this brand, but this is specially formulated for culinary use. Although it is a bit expensive for most households, if you want to surprise your family with delicious dishes quickly and easily, this is the right salt for you. Based on what we discussed here today, it is best to have one of each of the salts in the list in your home. Each has a different purpose and its the best lineup for those who want to try new and improved dishes at home. Remember that salt is usually the foundation of any dish unless you don’t like it or are on a low-sodium diet.